A low to medium volume Greenland style touring kayak for day trips and overnight camping. This boat is built using the “stitch and glue” plywood construction for light weight, high strength and low cost. The 17-foot version of the Merganser weighs about 40 lbs. 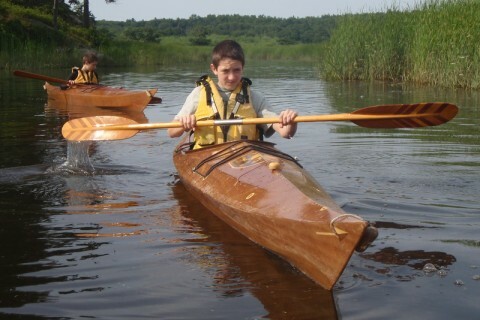 The Merganser is designed for the paddler who wants the performance and light weight of a boat with the beauty of wood at economical prices. 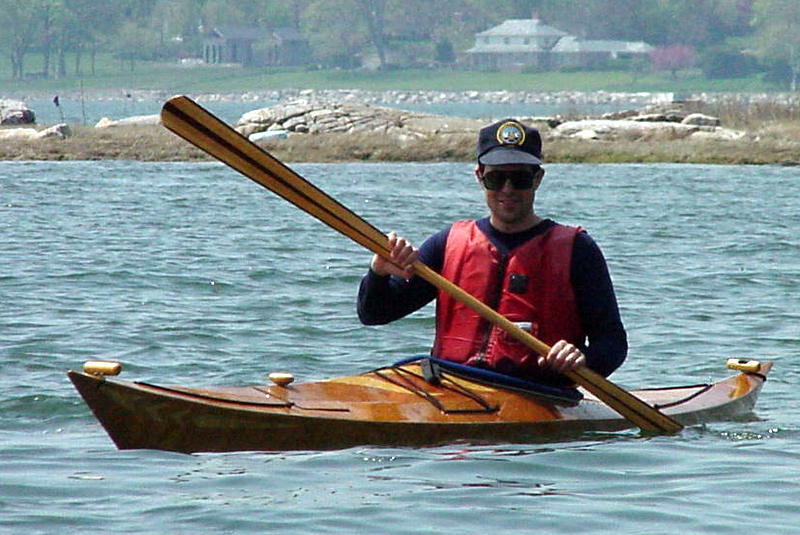 These boats are built from Okoume mahogany plywood for strength and natural good looks. The Merganser tracks well yet maneuvers easily with leaning. 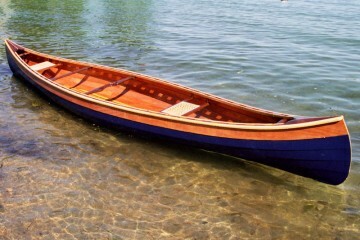 This boat is stable enough for the novice yet will perform for the expert. It has a relatively high forward deck to provide leg room and dry ride and a low rear deck for easy rolling. The Merganser is very fun to surf of wind-blown waves, accelerating quickly to catch waves and zooming along in a comfortable and controllable way. 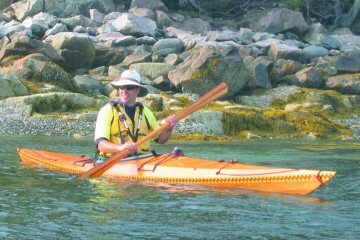 The waterline is 20 inches wide on the merganser for efficient paddling. Flared sides provide comfortable secondary stability. The multi panel deck and recessed cockpit provide leg and foot room as well as an ergonomic fit in a sleek, low profile kayak. 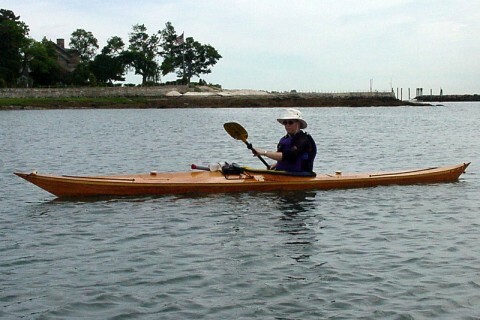 MERGANSER 17w: 17 feet by 23 inches for those who want more room and stability. MERGANSER 18: 18 feet by 22 inches for those who want a faster, sleeker boat. MERGANSER 18w: 18 feet by 23 inches the largest of the fleet. 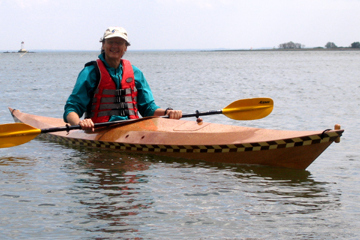 The Merganser strip deck hybrid, combines the unsurpassed looks of strip built wooden kayaks with the great looking, high performance and lightweight plywood hull. 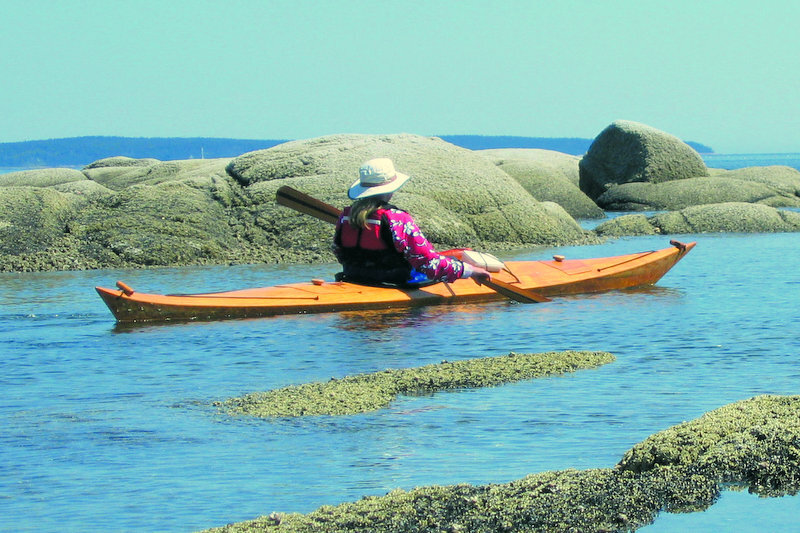 Home builders will find the hybrid the ideal way to build a beautiful boat with much less effort and complexity than a fully strip built kayak. 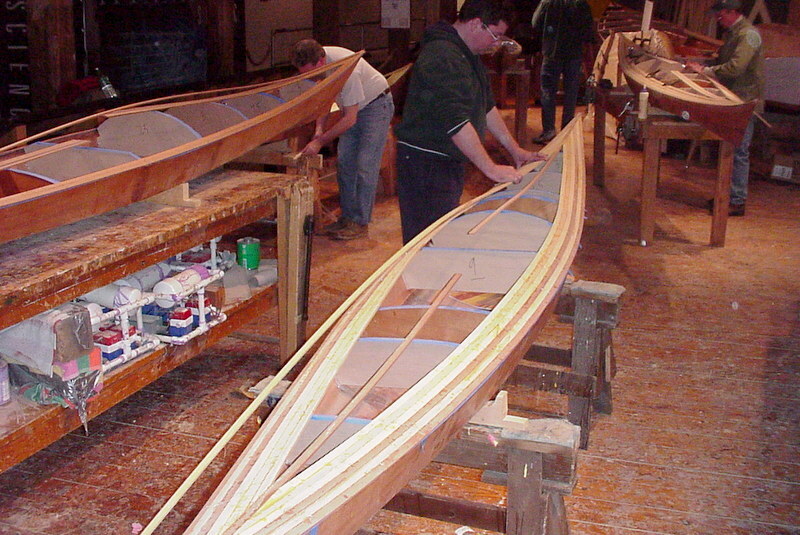 hybrid plans include deck form patterns as well as the full stitch and glue hull patterns. 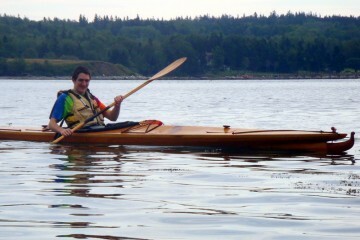 I have a Merganser 17, and 15 in the shop, if you want to try one out or even purchase it. Merganser plans include full size templates (tape the sheets together and mark your plywood by punching through the paper) and detailed easy to follow instructions. 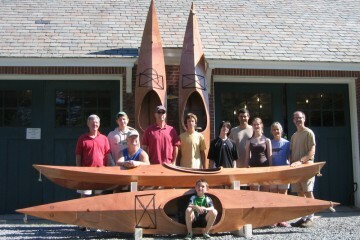 This boat uses stitch and glue construction and can be assembled in about 100 hour of work; the hybrid will take about 120 hours.